A popular group of lakes for warmwater anglers in the Panhandle is the “chain lakes”. The series of eight low-lying, shallow lakes (aka “lateral lakes”) are connected to the Coeur d’Alene River and, like Coeur d’Alene Lake itself, are maintained at a greater depth through the summer by Post Falls Dam. These lakes are well known for their largemouth bass, crappie, and northern pike fisheries, which take advantage of the relatively warm water and abundant vegetative cover. compare fish density and angler exploitation with surveys from past decades, Idaho Fish and Game personnel tagged and released over 600 bass in six of the eight lakes in 2009. Bass were initially collected and marked using an electrofishing boat on Anderson, Blue, Cave, Medicine, Killarney, and Thompson Lakes from May 3rd-5th. To estimate the populations, a second “recapture” effort was conducted approximately 10 days later (May 12th-14th). This allowed the fish to redistribute evenly throughout the lakes. The density of largemouth bass in the lateral lakes has remained relatively unchanged over the past 11 years. 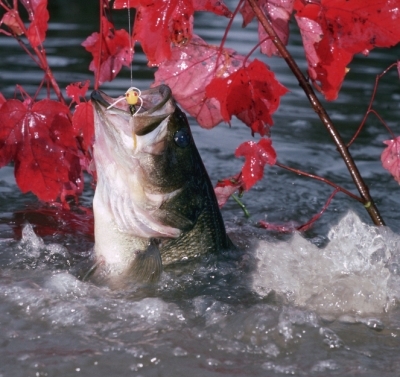 An Idaho Fish and Game study in 1998 reported similar exploitation and densities of largemouth bass over 12 inches in Cave, Medicine, and Killarney Lakes. bass. Furthermore, many of the chain lakes are not easily accessible, which limits harvest-oriented angling effort. Based on the number of tag returns we estimate an average annual harvest rate of 9%. Not surprisingly, the majority of the fish that were harvested were caught in May and June, when largemouth bass are typically the most aggressive and found in shallow water. The low overall harvest rates, the size structure, and the abundance of “old growth” fish are representative of a healthy and high quality bass fishery. This post was written by admin on Friday, January 29, 2010, 22:42. admin has written 6 posts on this blog.